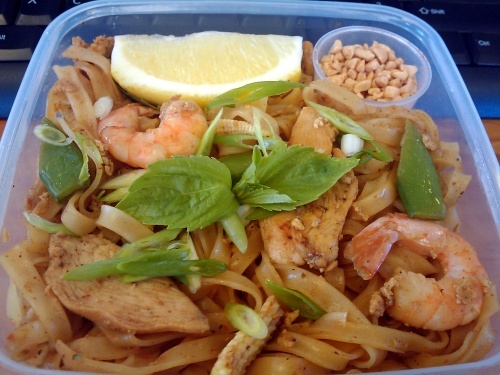 #422 - Pad Thai Lunch - Wots For Lunch? This entry was posted in Packed Lunches, Recipes and tagged baby corn, chicken, egg, garlic, lemon, Pad Thai, peanuts, prawns, rice noodles, spring onion, sugar snap peas, Thai basil, yellow pepper. Bookmark the permalink. Yummy! 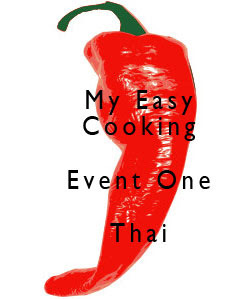 I’ve also used that Chez Pim post to make Pad Thai – very userfriendly. And I love that it’s so quick to make too. When I was researching my entry for the challenge, I kept coming back to this – I really wanted to make Pad Thai, but all the recipes I found were too long with complicated ingredients and being naturally lazy I skipped out. I love your recipe and will definitely be trying this out. Yummy! BTW – My spring rolls also take me back to our first MOB meeting, what a lovely memory! Oh you must try this. So long as you have the sauce for the right flavour, I’m sure you can adapt it to whatever you have on hand. This is the kind of lunch that will inspire me to go to work just to get a packed lunch!!! 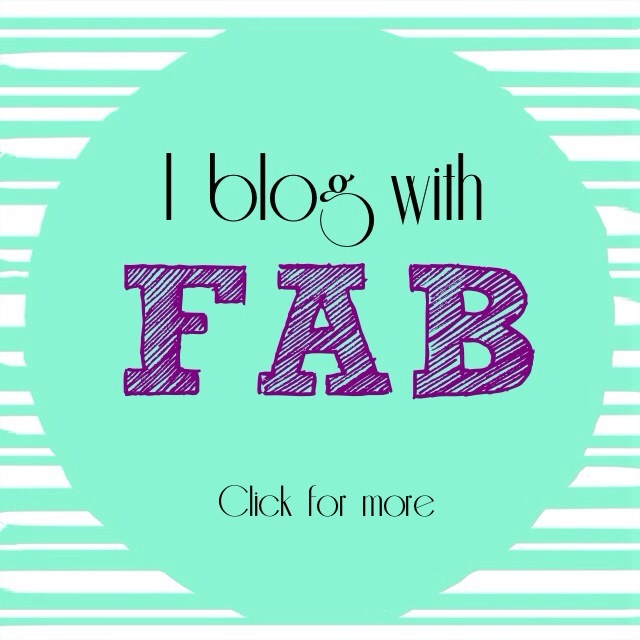 nina´s last blog post ..Chicken En Papillote – Surprisingly good chicken!